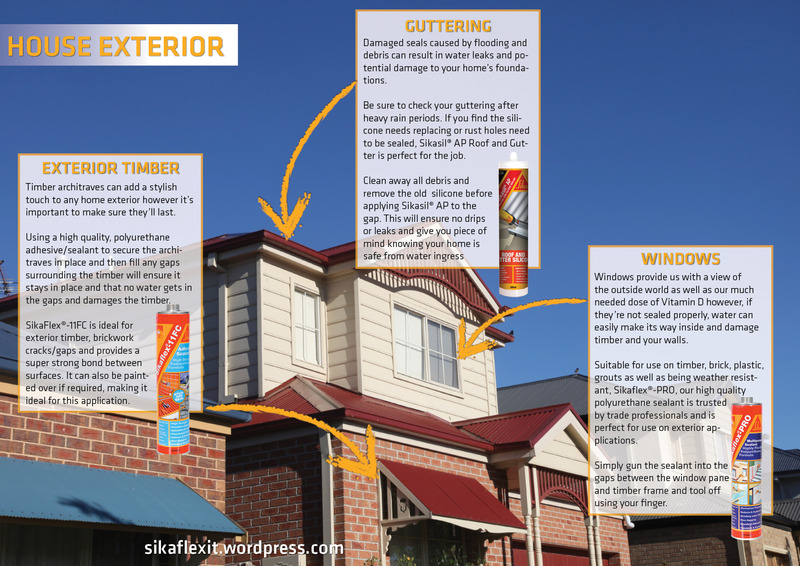 Whether it’s the intense heat during Summer (or even Spring these days) or the wet and wild conditions during Winter, the exterior of your home is exposed to the harsh Australian conditions all year round and if it’s not properly maintained, areas such as the seals around your window sills and guttering can being to shrink, peel away or disintegrate completely, creating gaps and the potential for water to make its way inside and cause some serious damage to your home. Never fear! 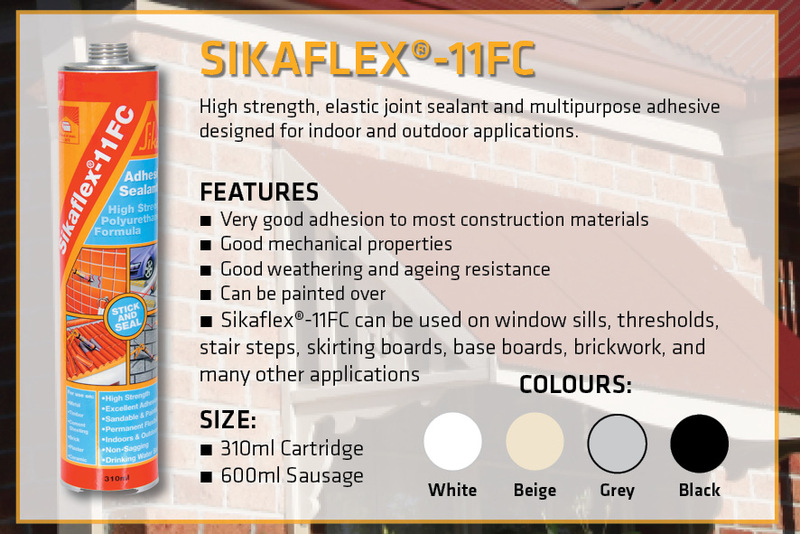 We’ve put together a simple yet handy infographic that shows which Sika product can help keep your window and gutter seals watertight and ensure those important components last the distance. multipurpose adhesive designed for indoor and outdoor applications. making it perfect for external applications involving timber. 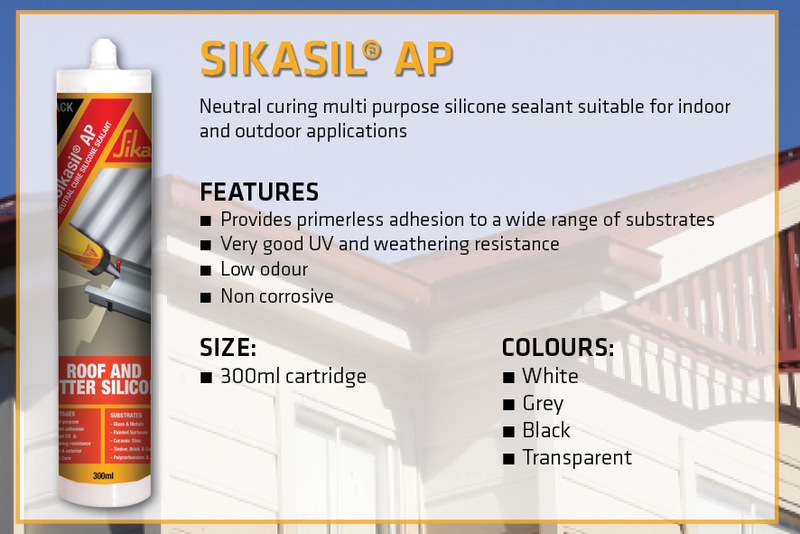 Sikasil AP is a multi-purpose silicone sealant designed specially for outdoor applications such as sealing gaps in roofs and guttering. It’s resistance to UV and weathering means it’ll offer a long-term, watertight solution for your house exterior. 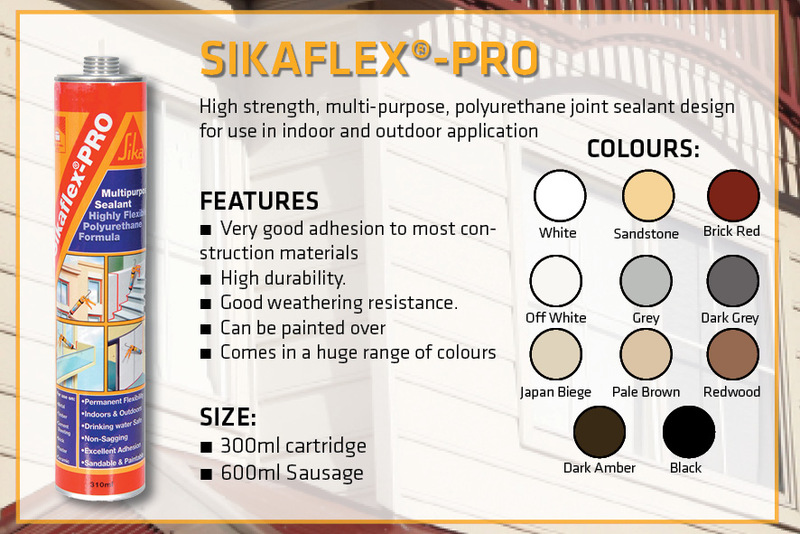 Sikaflex-PRO is a multi-purpose polyurethane based joint sealant that’s used around the world by DIY’ers, tradies and professional construction workers every single day. Although it comes in a range of colours to match your house exterior, it can be painted out, meaning you can apply it BEFORE you paint your window sils or surround area. All products featured in the infographic can be found at all good hardware stores across Australia.